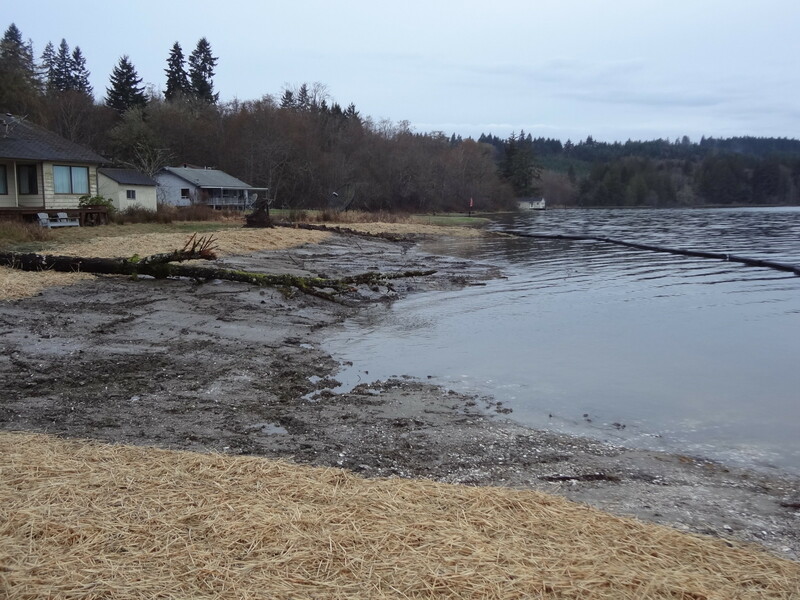 We completed a shoreline enhancement project along the North Bay shoreline at the head of Case Inlet in Allyn, WA. The goal of the project was to remove a 200-foot long bulkhead to restore tidal influence, salt marsh and beach habitat, and shoreline geology. 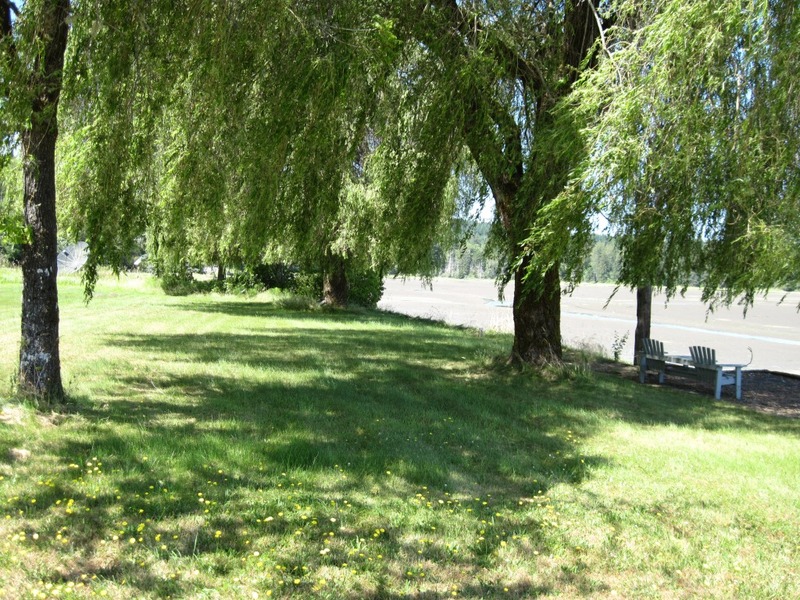 The project site is owned by the WA. Dept. of Fish and Wildlife and was originally purchased with mitigation funding. 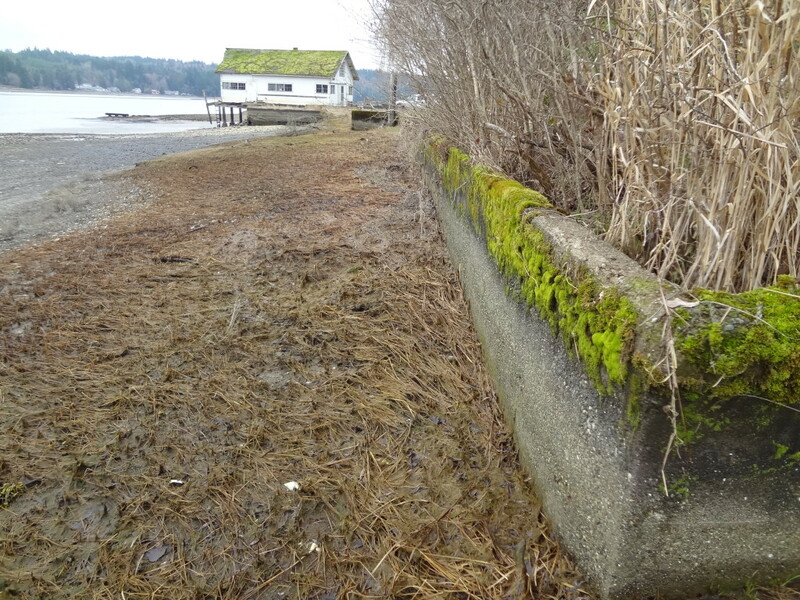 With the project now complete the property has helped fulfill a mitigation and restoration need for South Puget Sound. 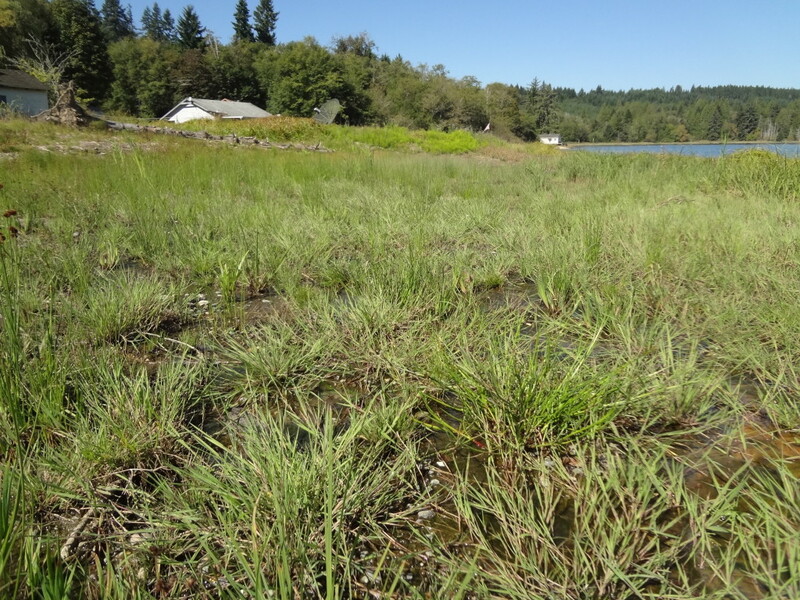 After a recent site visit it’s clear that the site is returning to inter-tidal salt marsh habitat. 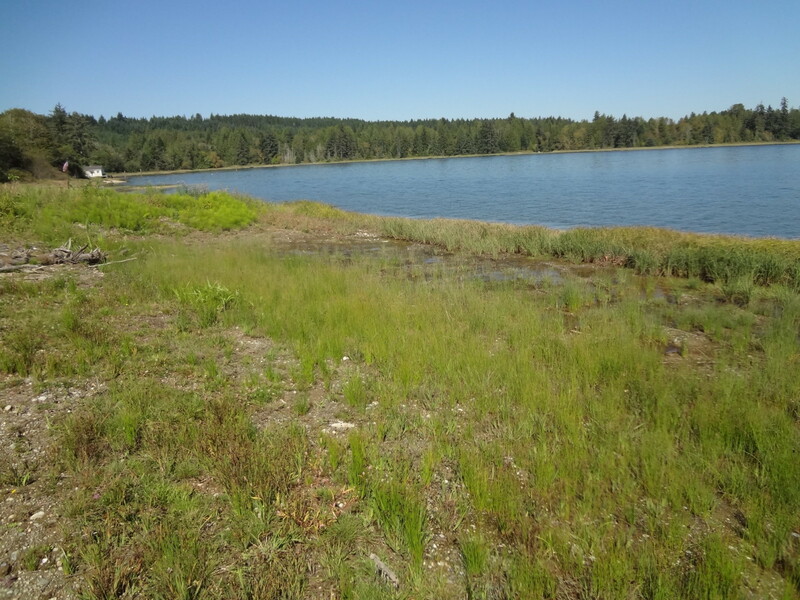 This freshly formed habitat is now available for marine and riparian invertebrates, juvenile salmonids, and a host of shoreline associated wildlife. The following pictures show the progression of the site from before and after the project. View of the site just after removal of the bulkhead. The tide is moving into area it has not occupied for several decades. View of the restored shoreline in the fall of 2013. 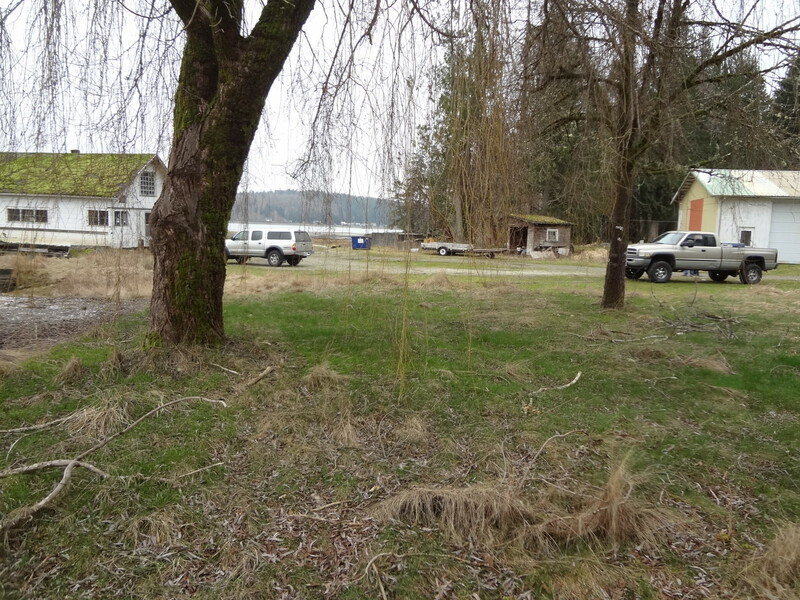 The area where the bulkhead and lawn used to be is now being populated by native wetland plant species that will provide habitat for shoreline fauna. A close up view of recently populated wetland plant species.